The best surfing courses, lessons and surf camps. Pacific Surf School San Diego have shaped thousands of surfers and nourished both their skill and love for surfing! 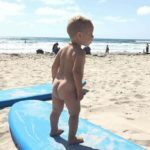 Surf lessons on the most beautiful beaches In California! Pacific Beach, Mission Beach and Ocean Beach. Surf like a pro! In Surf Coach Pro lessons you will complete the same training as a professional surfer. 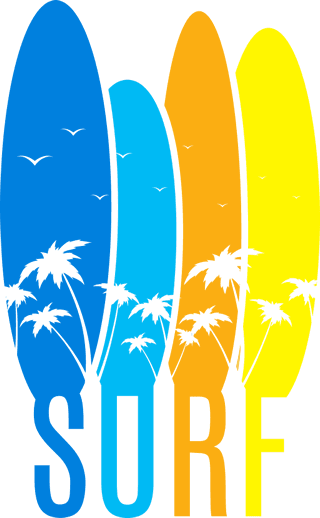 Welcome to the official site of your very own San Diego surf school! 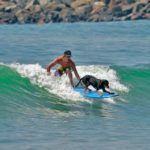 Want to go surfing on one of San Diego’s stunning beaches – Mission Beach, Ocean Beach or Pacific Beach or La Jolla Shores Whether you are already a seasoned surfing pro or a complete beginner, the staff at Pacific Surf School San Diego are here to make sure you enjoy the ocean and lessons as much as we do. 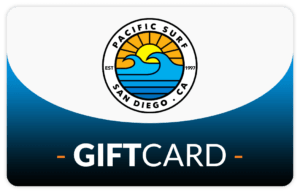 For the last 20 years, Pacific Surf School San Diego have developed a range of services and lessons targeting all types of surfers: high levels and beginners, women, children, tourists, parents or just beach lovers. We provide the best instructions in the world! View our excellent reviews on TripAdvisor. Check out our programs to see what works best for you and come out and enjoy the waves with us! We are San Diego's best and safest wave school. We have the best Surfer Camps available in San Diego area. Lifestyle, culture and a lot of breakers. California and San Diego will surprise you. We have the largest variety of surfing equipment for rent. Be a pro with our high performance training developed by professionals. Instructor, Marketing, Office, Photography...Join our team. Hey students! Come to the beach after school and get your grow catching waves all year long. The most original and amazing GIFTCARD you could give to someone! Choose an amount – Choose a design – Set who you are sending it to – Include a message… DONE, now your gift will be remembered forever! Why do so many people love surfing? Simply put, because it’s awesome! To Pacific Surf School San Diego, surfing is more than just a sport – it’s a way of life! 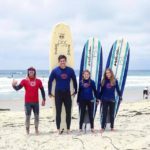 Pacific Surf School in San Diego is the leading surf school in San Diego and are happy to open up a whole new world of opportunities for ocean lovers by giving surfing classes and lessons in San Diego to passionate surfers of all ages. 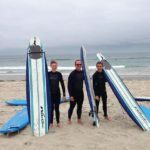 We offer the best surfing lessons in Mission Beach, Ocean Beach, Pacific Beach, and La Jolla. Simply choose the type of surfing lesson and dynamics that work best for you – individual, semi-private or group lessons. Kids are simply crazy about our camp in San Diego! We give surfing lessons for beginner and intermediate kid surfers. At our surf school San Diego, with our fantastic surfing lessons, we make surfing a fun activity for the whole family! Learn to shred waves and enjoy the ocean with the Pacific Surf School in San Diego that has produced over 200,000 surfers since 1997. We provide ALL of the surfing equipment, support and protection needed to emerge a great surfer. All you need to bring is enthusiasm! See you at the beach! Take advantage of the benefit of our San Diego surf lessons. From the sensation of standing up for the first time to the moment after an excellent maneuver, these are all memories that you will cherish forever. 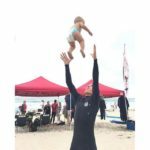 Pacific Surf School San Diego offer keepsake photos to add to those precious memories; fun, sport, energy, and health all captured together in an unforgettable moment! Check out our gallery of positive and energizing students! We look forward to seeing you SURFING with us SOON!